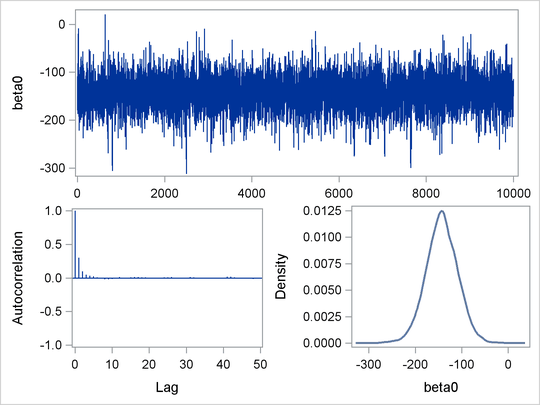 By default, PROC MCMC generates three plots: the trace plot, the autocorrelation plot, and the kernel density plot. Unless ODS Graphics is enabled before calling the procedure, it is hard to generate the same graph afterwards. Directly using the Stat.MCMC.Graphics.TraceAutocorrDensity template is not feasible. The easiest way to regenerate the same graph is with the %TADPlot autocall macro. The %TADPlot macro requires you to specify an input data set (which usually is the output data set from a previous PROC MCMC call) and a list of variables that you want to plot. 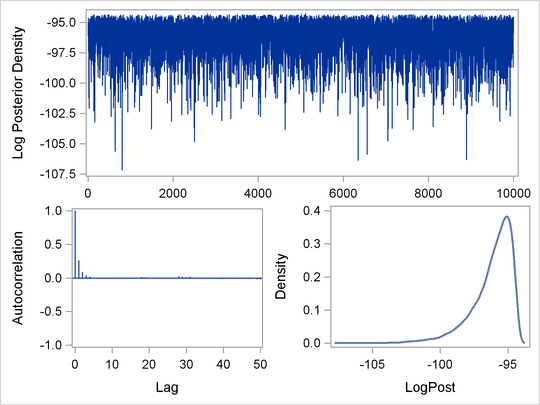 Figure 61.16 displays the regenerated diagnostics plots for variables beta0 and Logpost from the data set Classout.